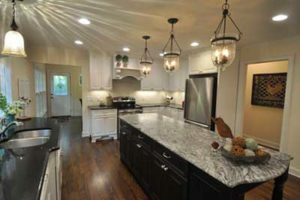 Because the homeowners plan to stay in their home for the long haul, they wanted to make their homework for them now and well into the future. 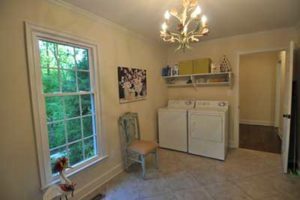 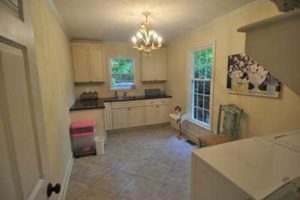 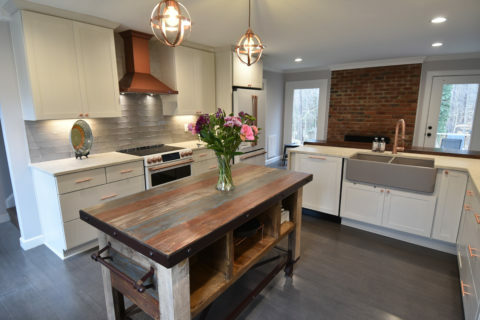 To make that possible, they decided to utilize their current garage space, which they never use, for an expanded kitchen, breakfast room, large laundry room and pantry. 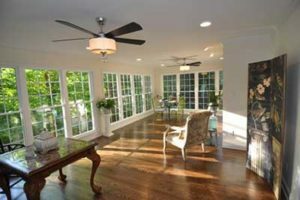 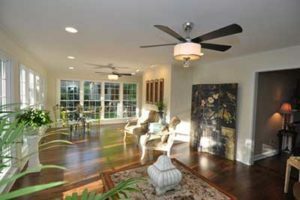 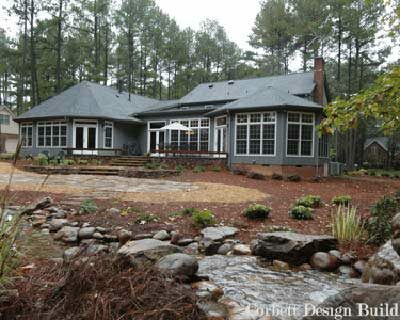 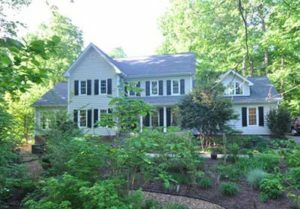 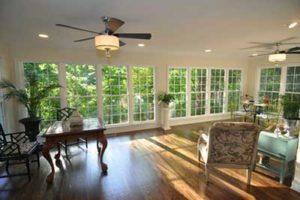 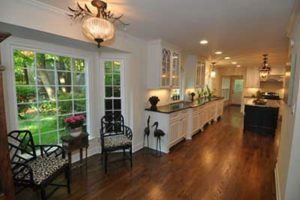 A very large sunroom with floor to ceiling windows all around was added onto the side of their home to take in the gorgeous front to back views their wooded setting allows. 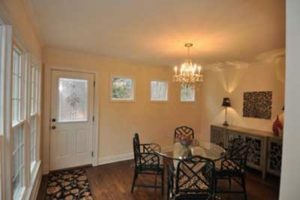 In addition, a new dormer on their second floor was added to create a large craft room. 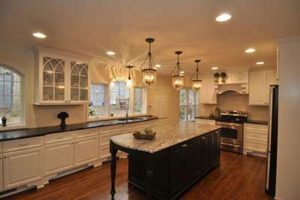 Their incredible kitchen features two arched windows, custom NC made Blue Ridge Cabinetry, with some of the cabinets matching the arched windows design, an almost a nine-foot-long island with a leathered and acid washed granite top. 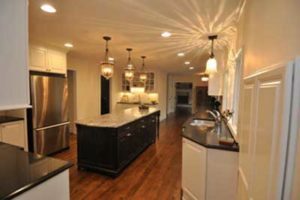 Echoing the latest trend are the white perimeter cabinets with slab doors and the lightly distressed black island. 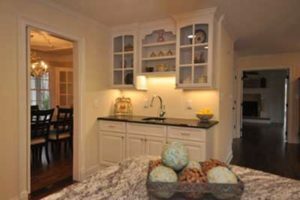 The cabinets leave out no details including corbels, feet, and balances on the base cabinets and gorgeous hardware. 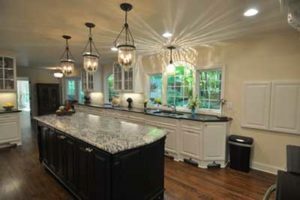 The light fixtures over the island have a very unique design made of seeded glass with complimentary lighting over the sink.